I’m in the middle of development, so just a quick note. I’ve uploaded all my games to Pjio.com, so they can now be played online. I hope that I can find some new players for my games, since from now on you don’t have to download and extract the zip files. Even though Pjio.com requires for you to install a plug-in I think it’s a bit easier for the not-so-tech-savvy players. In the Pjio.com related news, the founder of Pjio.com, Tim Fisher created a fun experimental game in 4 days called Part One. Check it out, it’s a fun take on the swarm shooter idea. The feedback on Pluto Strikes Back has been surprisingly positive. So I thought I’d write a little bit about what’s up with Pluto. There’s a new version of the game (Release 1.5). It fixes the “endless” score bug and makes the game a bit easier to gasp. It also makes a lot of the content modable. The new version can be download from here. Or if you only want a quick patch download this file and extract it on top of the older version of Pluto Strikes Back. When you have downloaded the new version I recommend checking Pluto Strikes Back’s first mod by Felekar. You can download it from here (just extract it on top of Pluto Strikes Back). 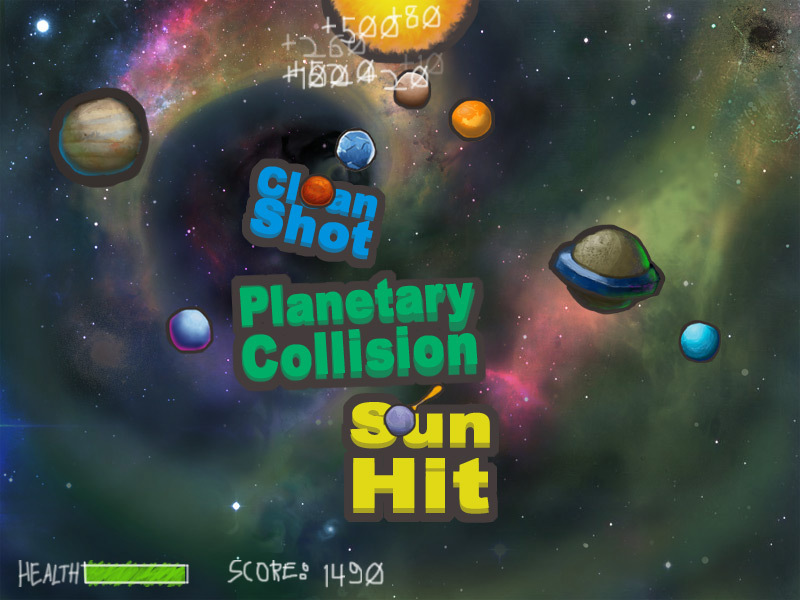 It changes the game by increasing the gravity of other planets. 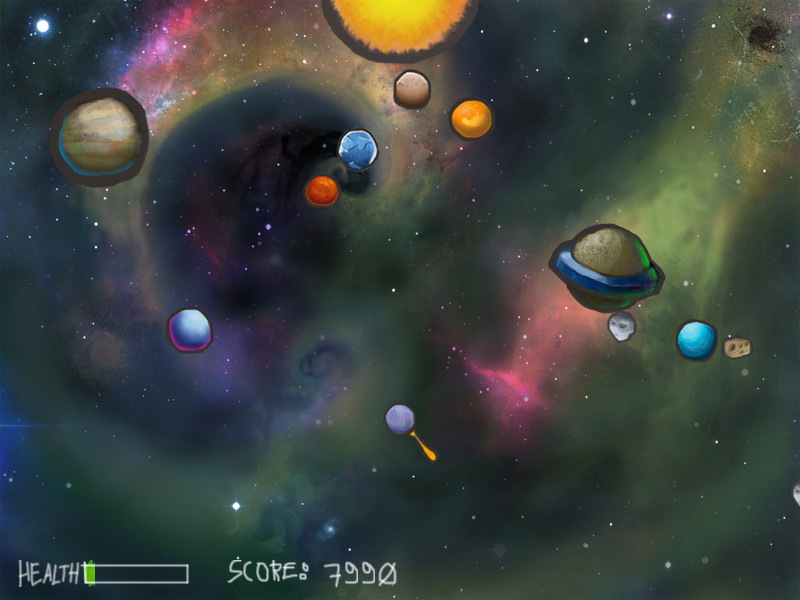 The end result is very fun and very different Solar System to play in. 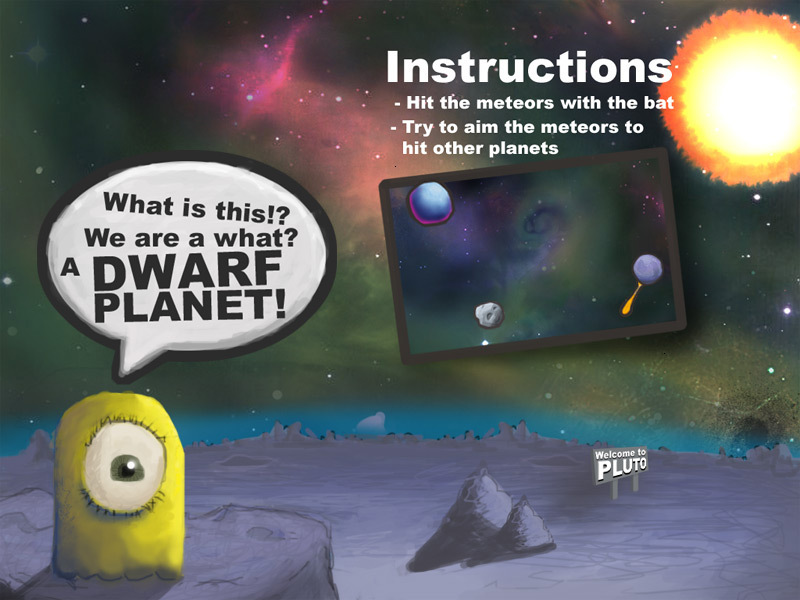 Pluto Strikes Back can now also be played online. Thanks to pjio.com. So if you haven’t played the game already go to pjio.com and try it online for free. I’ll soon be uploading all my games to pjio.com (I’ll try to do that on Monday). There’s also a gameplay video of Pluto Strikes Back on Youtube.com (Thanks to Seebee). So everyone who doesn’t want to download or play the game online can see what the game looks like in action. Some time ago I published the Articles About Rapid Game Prototyping post. When I wrote it, I didn’t intend to write a sequel. So I didn’t hold back any links. After I published it I stumbled upon few new resources. The list quickly grew into a bigger one (thanks to Lost Garden) and now I think I have enough to justify a new post. Last time the articles where mainly about software game prototyping. There where only two articles that touched the delicate subject of paper prototyping. Even if your not interested in paper prototyping or board games I recommend reading the articles about them. They contain a lot of useful information for anyone creating a game prototype in any material. A very good article about why you should prototype and what kind of different prototyping options you have. I tend to go for the Program a Prototype -section, but I’m starting to get more and more interested in “paper” prototyping. The only type of prototyping not listed there and probably the most used in the (casual) games industry, is the Prototype With an Existing Game -type. In which the game designer plays some over-1-million-copies-sold type of game to prove that the game mechanism works (or at least sells well). I know that your all wondering why I listed a board game prototyping article here. The reason is that in this small article is the best answer I have read to the question of why graphics matter in prototyping and why they don’t. Generally from what I have read there seems to be two extremes in the prototyping guides. Other end says that prototypes don’t need graphics, because it takes more development time and doesn’t replace missing fun. Other end says that the prototypes live longer and are more useful if you put in the extra hours for the graphics. The small article cleared my head and explained to me the good and the bad of graphically intensive prototypes. I recommend digging trough the Board Game Designers Forum, there’s a lot of good information directly related to computer game design and prototyping. For example read the Design Process part. It’s the best written article, that I have read about iterative design. Here’s a great introduction to paper prototyping by Tyler Sigman. It addresses the common problems of paper prototyping: how to build cards, tokens and boards. Even if the practical aspects of paper prototyping doesn’t create a huge urge to read the article I recommend checking it out for the chapters that deal with benefits of prototyping and playtesting. The information in both of these chapters is directly related and easily converted to software game prototyping. But on the other hand if your seriously interested in paper prototyping I recommend reading Tom Sloper’s Lesson #20 Board Game Design. At the end of the article there is a great list of resources for the paper prototypers. Martin did game in a week for six weeks and published his games in his blog. There are some very interesting games, Hovercrafty is my favorite. At the end of his game design marathon he published an article that sums up what he learned. I highly recommend reading it, if you want to create a game in a week. On his blog there are also postmortems for every game he did. They are rather brief for my taste 🙂 , but there are some good insights in those blog posts too. A book by Tracy Fullerton, Chris Swain and Steve Hoffman, that I haven’t read. But luckily for us they published the prototyping chapter as a preview. The chapter is more about paper prototyping and it’s a good guide to the world of paper prototyping. There is an interesting example on how to paper prototype a FPS. There is also a section called Using Software Prototypes In Game Design by Nikita Mikros, which is of more interest to us software game prototypers. This is an extremely good article about the problems of prototyping that no one wants to talk about. But I feel that I have to comment some of the solutions. The infrastructure of prototyping is a concept that I didn’t even think about before I read the post. But it’s true. You have to have some kind of “infrastructure” before you can start prototyping. I don’t think this infrastructure is only the engine or framework, but also the skills to use the engine / tool. I don’t believe that you can just pick an off the shelf engine and start prototyping. Even an experienced programmer has to get himself familiar with the engine to be able prototype quickly. When prototyping the programmer can’t spend time learning to use the tool in question. Spending time on finding how to do stuff can easily kill the momentum. Simple things can sometimes take days to figure out, so that why I think it’s very important for the programmer to know his tools. I’d also like to comment about the hacker, architecture, genius programmer thing. I believe that a good programmer can change his programming style to fit the project. When I’m prototyping I haxor the code together. When I’m building my engine I put (too) much effort on the architecture. Of course there are programmers who cannot change their style of coding, but when your prototyping it’s important the realize that your not going the reuse the code. The most important thing is to get code up and running in the fastest (possible the ugliest) way possible. Here’s Danc’s take on the Experimental Gameplay Project gamasutra article. There is a good description of building the toy first and putting the game elements on top of that. I used this exact method when I did Pluto Strikes Back. First I created a simple physics model and played around and found out what where the fun things to do. Then I made a scoring system that gives scores when you execute those fun things. I also added the health bar so that it’s not only a simple toy but a “real” game. In the end the line between a toy and game is scoring system and a health bar? A very good post about how to evaluate prototypes. This is something I want to start doing with my own prototypes. Only problem is that I fear that I’m too attached to my own games to tear them apart this brutally. Just as a last quickie a good, cheap and easy way of doing paper prototyping. That’s all I for this time. If you haven’t already read the articles in Articles About Rapid Game Prototyping post I recommend reading them through. If you have read them then I hope that this post gave you a new dose of inspiration for your prototyping experiments. Btw. If you happen to know any other articles that I haven’t listed, don’t hesitate to contact me either by commenting on this blog or by mailing my at petri (.) purho [ät] gmail.com. This is the third done-under-7-days game that I have created. It was inspired by a very weird dream I had and the cruel treatment of planet Pluto. Or as it is now-a-days called dwarf planet Pluto. I’m still looking for cruel criticism on my games, so don’t spear the comments. Music: De Zwervende Keien (The Drifting Boulders) – Wooden Shoes In Tirol. The song is licensed under Creative Commons Attribution-NonCommercial 2.0 -license. Sound Effects: from various sources: The Recordist, Tintagel’s Free Sound File Archive and Brandens.net. You are currently browsing the Kloonigames weblog archives for November, 2006.